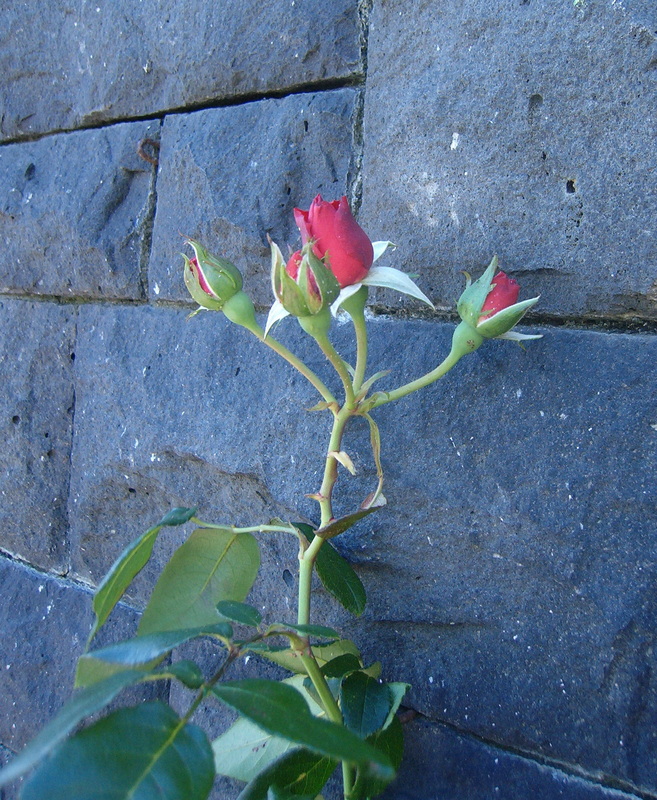 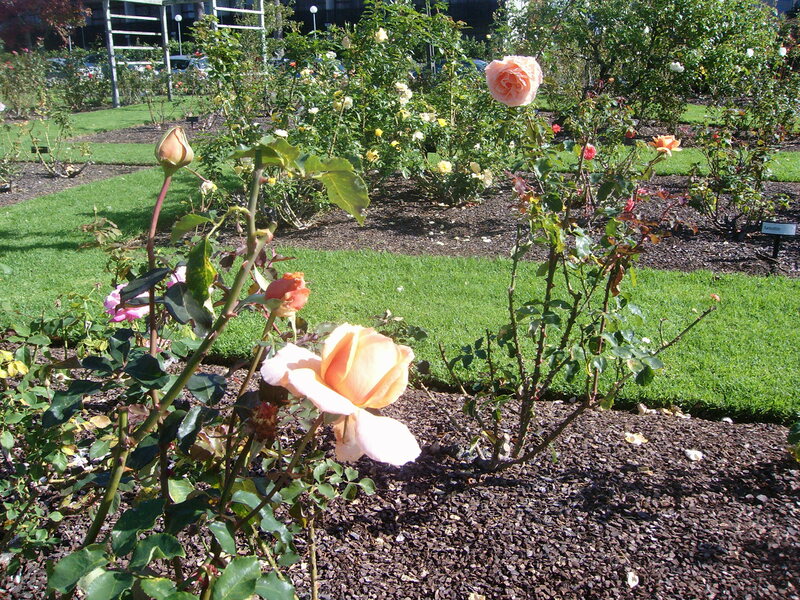 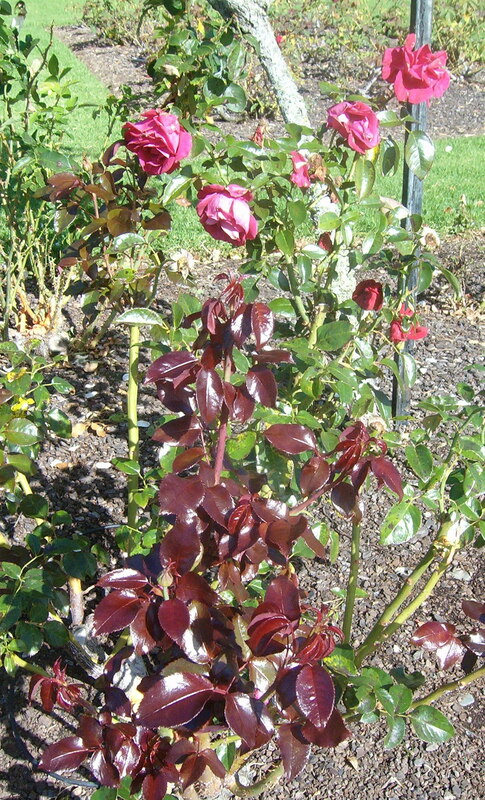 The Parnell Rose Gardens adorn part of a headland above central Auckland’s busy container port. 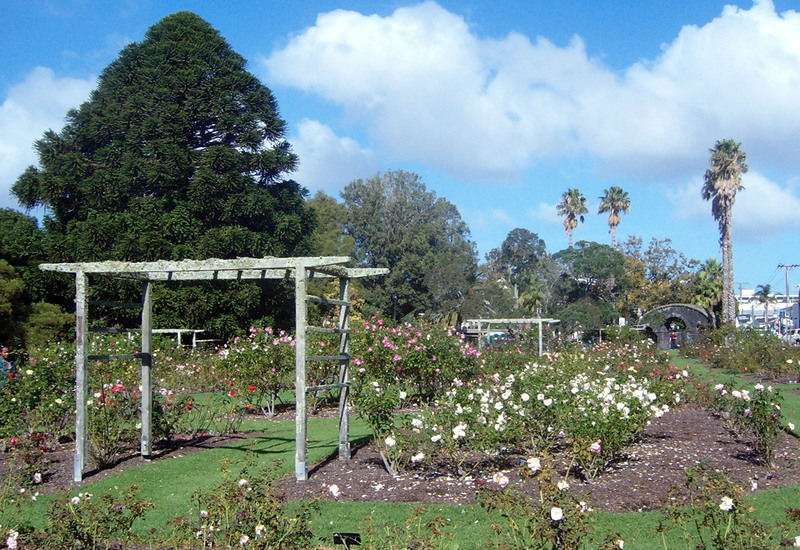 Dove-Myer Robinson Park – consisting of the rose gardens, the Victorian era Gillies family home and its wooded grounds in Gladstone Road – seems a world away from the nearby city centre. 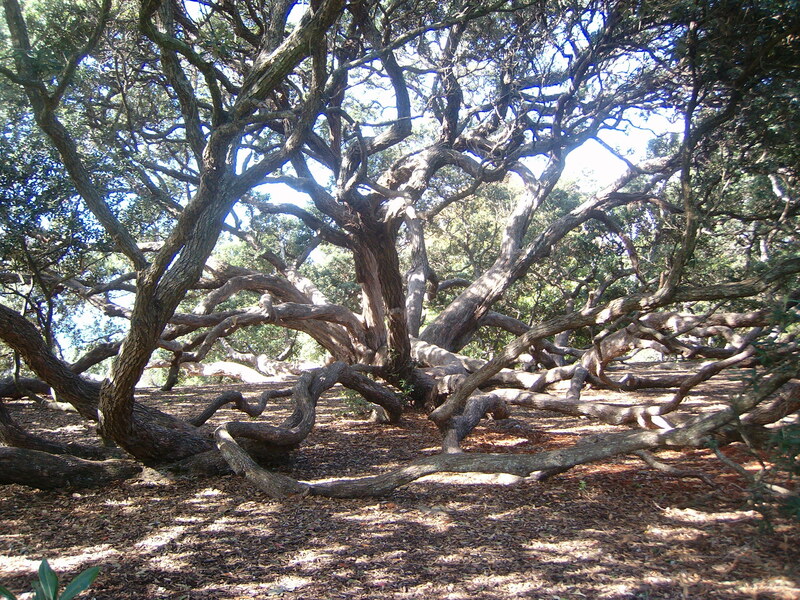 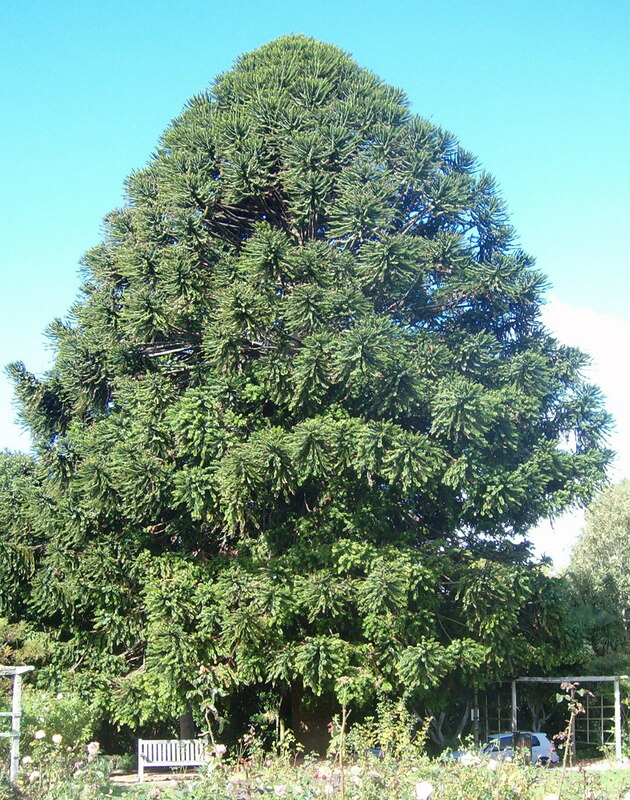 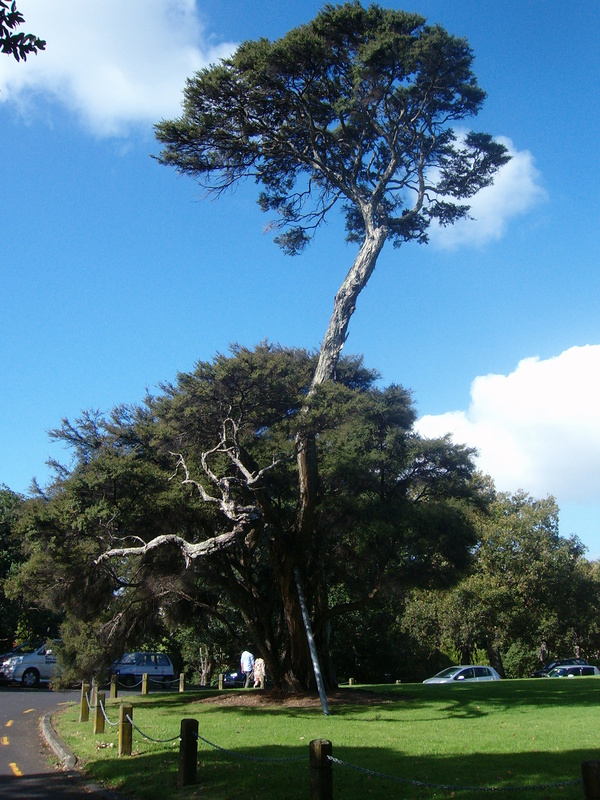 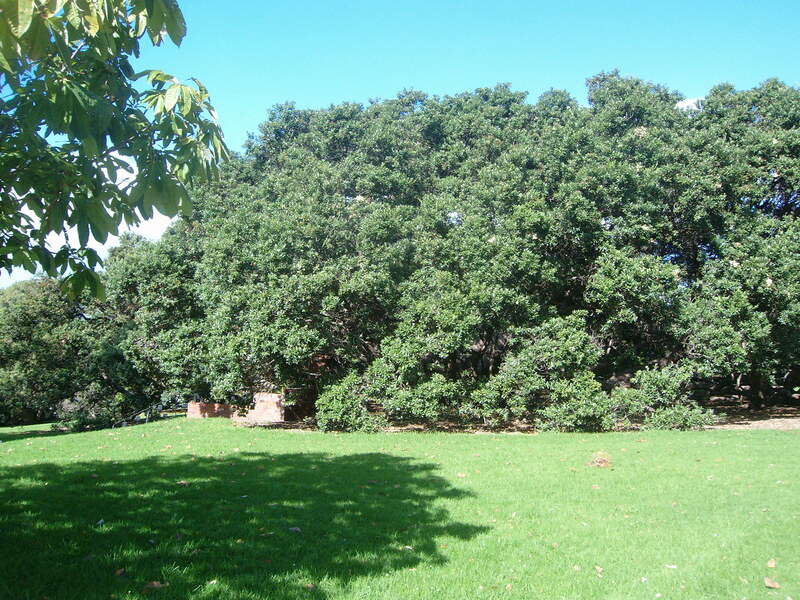 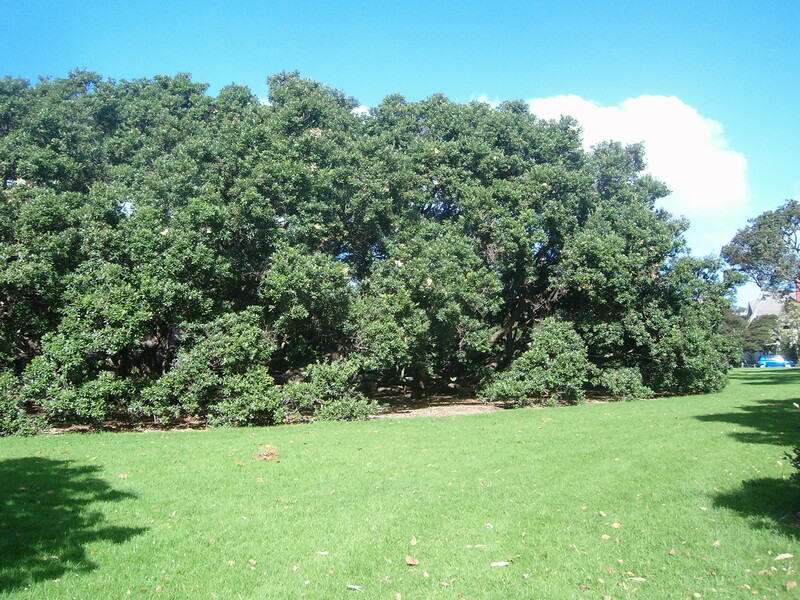 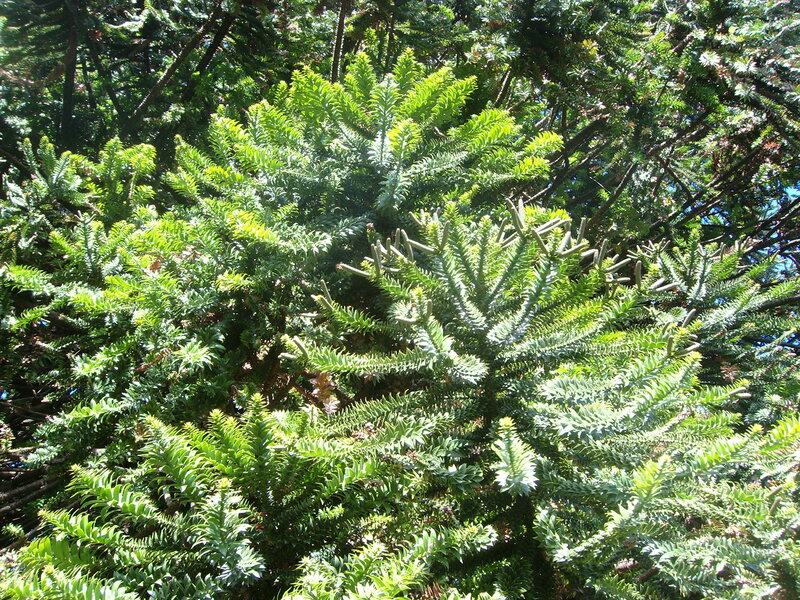 Some of the trees surrounding the Gillies home (now a restaurant and reception venue) are among Auckland’s oldest and largest. 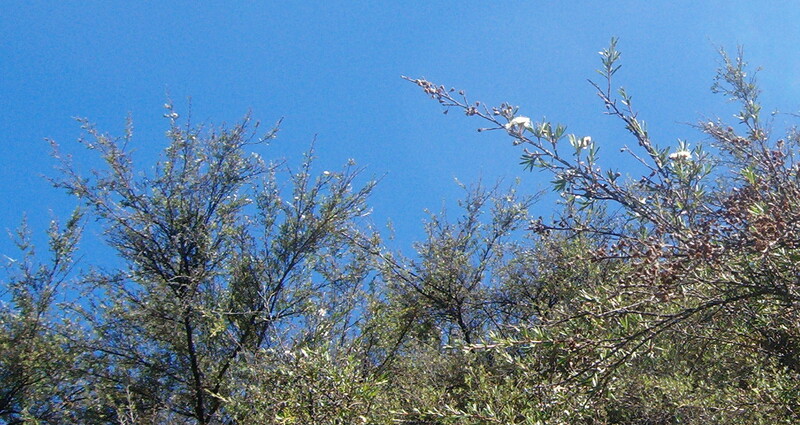 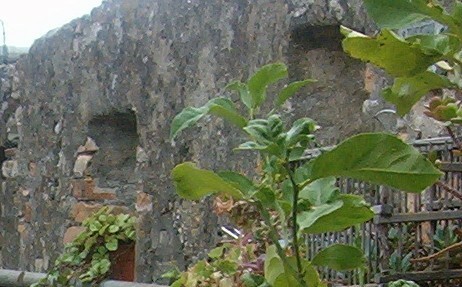 Manuka (Kunzea ericoides) and its tiny white flowers (above) and a gigantic pohutukawa covering many square metres (below) and seen from outside and inside. 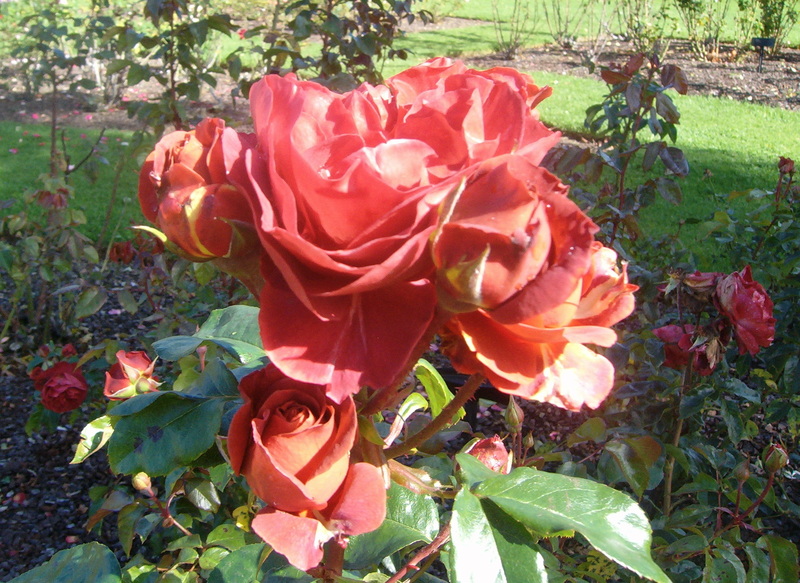 The rose gardens are best visited from November to April, but with this year’s mild autumn, they are still beautiful at the moment. 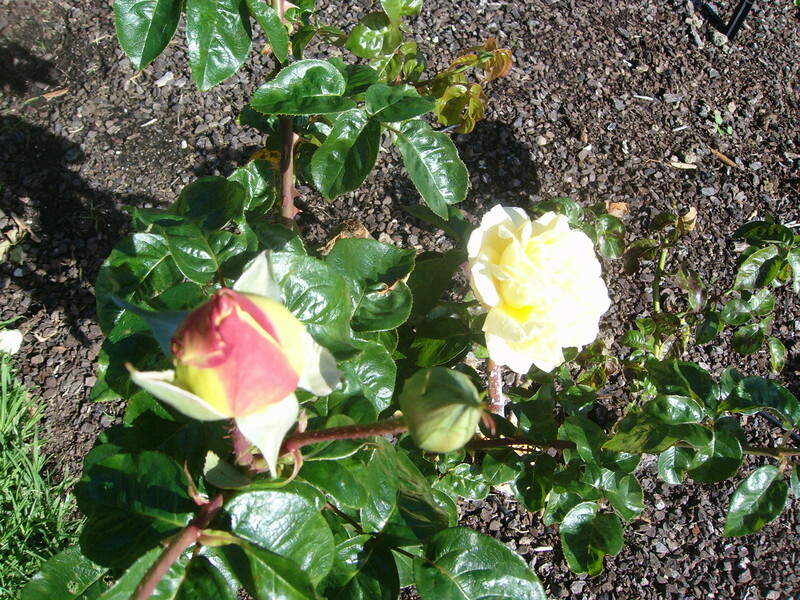 above – unnamed and Colourbreak; below – Just Joey and two views of Peace, or more correctly Madame A Meilland created in France during World War II. 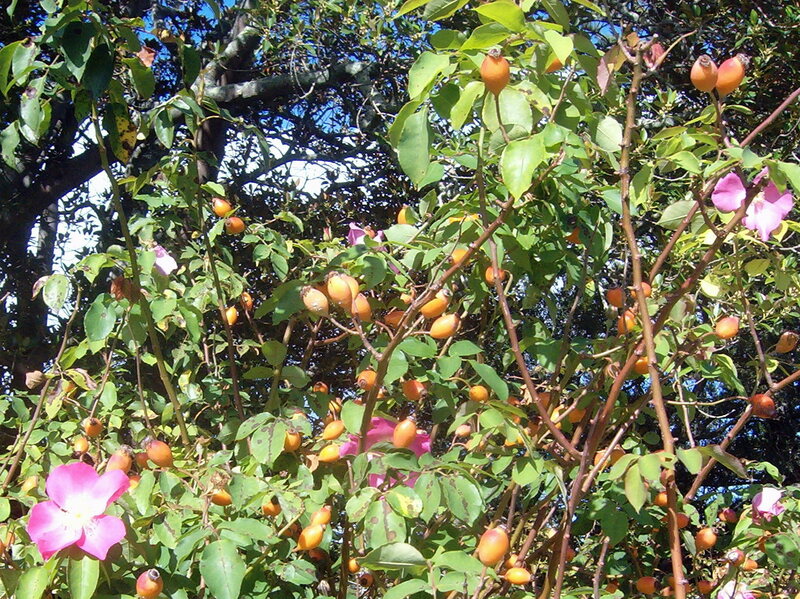 At this time of year the leaves and hips are just a pretty as the roses. 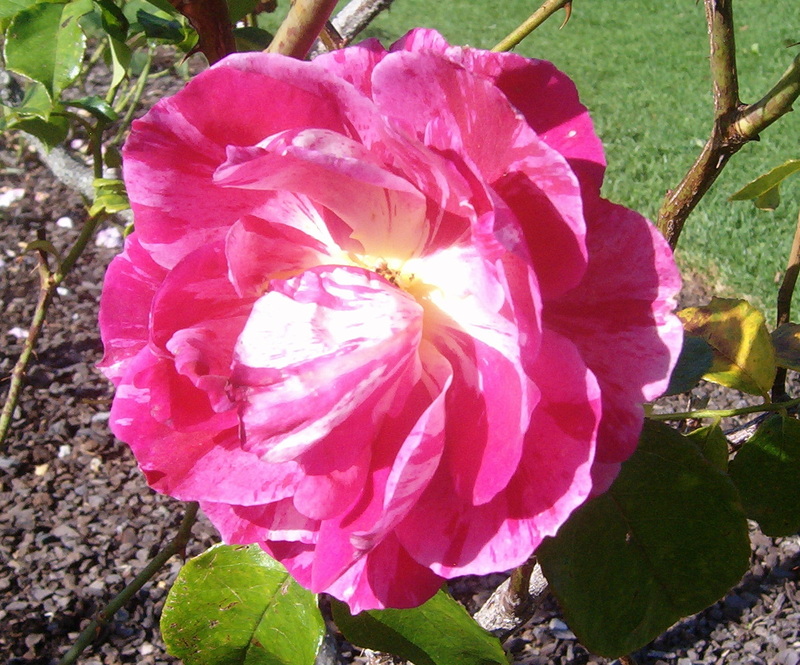 An overview of the gardens and Guy Savoy, a variegated rose. 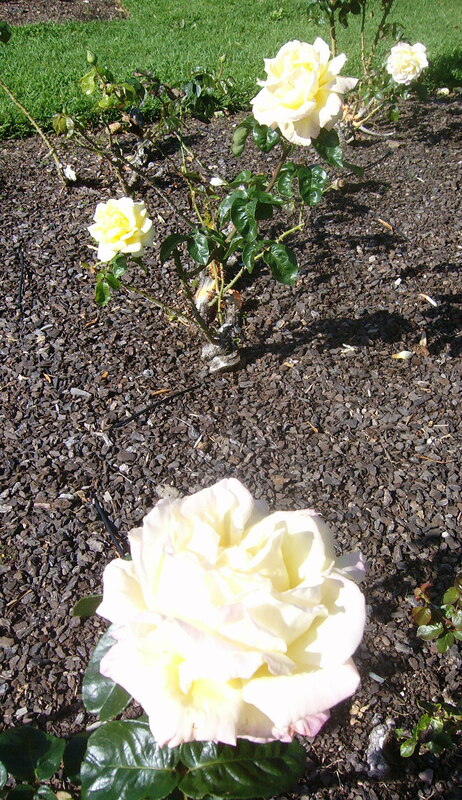 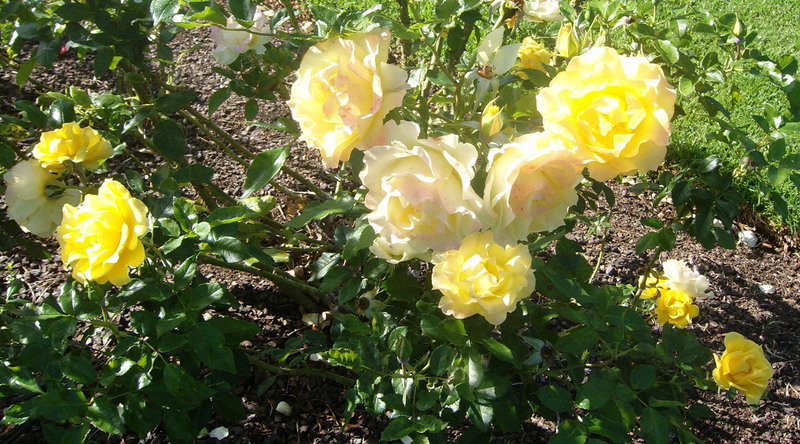 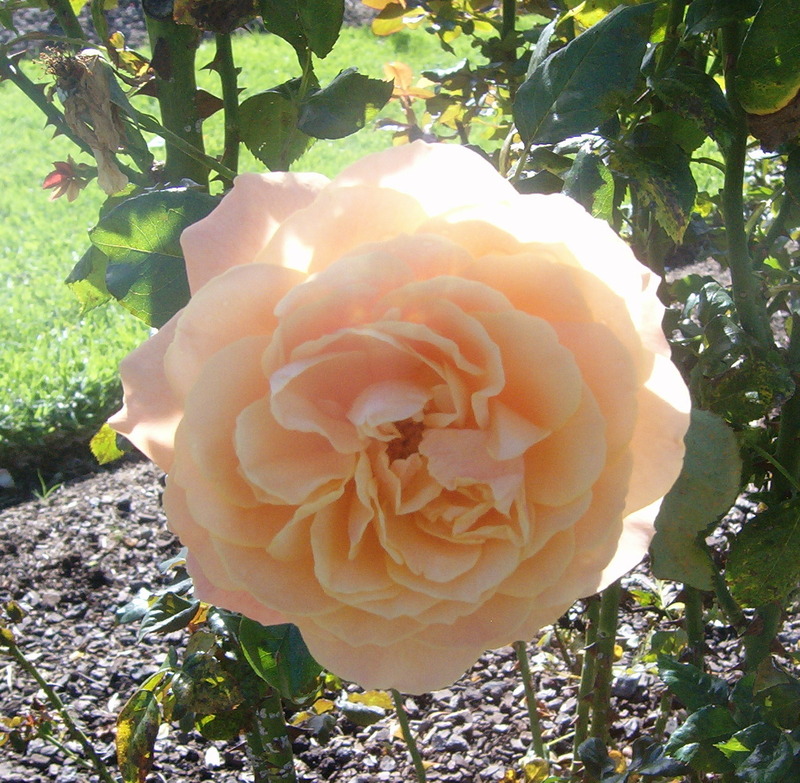 This entry was posted in Auckland, New Zealand and tagged Auckland, Beach, cheerful, gardens, Gillies, Meilland, parnell, peace, Rose, Savoy on May 7, 2014 by ventimigliaaltawords.